I just wanted to give you a heads up that our daughter and new son-in-law, Kayla and Tim Gonzalez, will be contacting you shortly for assistance in purchasing their first home. Additionally, Tim is a Fort Worth police officer. Karen and I told them of our awesome and trouble-free experience with your team. You guys were great to work with! You have a great team. Thank you very much with all off the hurdles. You helped make our dream of becoming Texans true! Merry Christmas to each of you! May you be blessed ten fold of how you have blessed our family! I wanted to thank you and your team for taking on my refi. I think it went well and I appreciate you and your staff for expediting this. We appreciate how available and willing you have been to answer questions and we are glad we had you on our team. You are awesome. You have such a great team and I could rely on you. I came back due to the ease of the process. As I mentioned to Kellye, the home mortgage process can run the gauntlet and the team at Homewood does an outstanding job of making it as easy as possible. Enjoy the afternoon and rest of your week. Thanks Mike... you guys rock! I really enjoyed working with Homewood Mortgage team. Everyone was very prompt, professional and most important, very courteous throughout the entire process. Again, thanks for the team effort(s) of Homewood Mortgage. You all are a joy to work with! Make it a wonderful day. Hi Mike! Thank you for all of your help and for getting us a great rate! Everything went great yesterday and was quick and easy. Mike, I wanted to let you know that you came highly recommended to us by Zak Anderson, a good friend of mine & fellow Crossfitter. Your staff has been awesome to work with, and I’d like to thank you and your staff for your professionalism, promptness and willingness to go the extra mile! Kellye & Bailey have been great to work with. You and your team made the process very easy! We have closed! Thank you for making it happen. You have a very efficient team! My dealings with you were great and i appreciate your availability for questions and concerns. I look forward to more business in the future and will recommend you to my friends. Thank you all very much for all that you have done. This has been a wonderful experience for a couple of "first-timers!" I found Mike Clover through a random web search. I was looking to build my custom dream home and was growing frustrated with the run around other banks were giving me. Building a custom home is a different and challenging process that requires a two part loan and many banks I contacted did not want to find my project. Mike got me in touch with a company that specializes in custom construction loans and from start to finish, everyone explained each step of the process and helped put my nerves at ease. The end result was a beautiful custom home that I plan on raising my kids and retiring in. I would recommend Mike Clover to anyone having difficulty securing funding for their dream home. You are wonderful to work with, and I see the same in your online reviews. This is a VERY important step in our lives, and I'm VERY thankful for your help. I wanted to thank the whole team for doing a great job on my loan. It was a challenging loan, but you guys came through for me in every aspect of the loan. I can’t thank you enough, and will recommend you to anyone I know looking to buy a home. You made our dream come true. Thanks Mike! …I really appreciate your help, education and all the flexibility throughout this process. I’ll continue to recommend you guys to anyone building a custom home. Thank each of you for making this a painless and enjoyable purchase. Know that I will be recommending you all to anyone that I know is is is need of a financial group. May God bless each of you in your ministry of serving others. Thank you! You guys have all been fantastic to work with. Everything has gone fast, smooth, and painless even in the midst of legal changes. Mike and the Homewood crew are top notch. Anyone I know looking for a mortgage will certainly get your contact from me. Thanks Mike! I appreciate the quick turnaround and professionalism displayed from your team. Thank you for everything you have done to complete this loan. You are professional, courteous, patient, and diligent. You are a treasure. This is going to sound like one of those junk emails you get, but I promise you it's not. Anyone looking for financing a new home or getting refinanced for your current home? I bought a home in February and I went through Homewood Mortgage to help get financing. These are the best group of people. If Mike Clover cannot get you financed, then I promise you NOBODY can! he works relentlessly hard to get you financed with the BEST rates possible. He knows his job and the market and knows what to do and how to work with whatever your credit score is. He tells you like it is whether you want to hear it or not so be prepared. Also when you call be prepared to get going because he got me financed in two weeks. I was referred by a friend to him that was satisfied and I referred a friend to him and her closing was just as quick and she is equally pleased as I am with these guys. No, I'm not getting anything for this and y'all know I'm a tell it like it is person so you can take me at my word. Besides, I know there are people who need help and think there is none and Mike helped me aaaaaaaand he's a pretty darned good guy so I'm doing my part. I just wanted to write a few lines to sing your praises for all of your hard work in getting me financed in my new home. You and your team worked VERY hard and it is greatly appreciated. There were times when I was ready to just give up but you guys never did and that really kept me going. You guys always worked your magic and pulled things off. I don't know how you did it but I'm grateful you did. Mike you are the hardest working man in the mortgage business. I truly believe that if you can't get someone financed, it can't be done. If I hear anyone say they're looking for a home I will gladly rant and rave about Homewood Mortgage and the wonderful work that you guys do. Before we came to Mike Clover we had been through a horrible 3 month rollercoaster of approval promises and then rejections from a broker that we were working with. After so many disappointments, Nolan and I decided to stop looking for financing on a house and just stay in our small apartment and continue to deal with our awful landlords! We believed that if we waited a year we could get an approval right away. After about a month I was looking at houses "for fun" in a free magazine and found Mike Clover's name who claimed to be the "loan hero." In my mind I thought, "Yeah Right! Let's see what you can do with us and our credit!" I applied online just to see what would happened. I was expecting to be disappointed. The next day Mike called me and talked about Nolan's and my credit rating which wasn't great and about the fiasco we had been through before. Mike Clover reassured me that we could be approved and what it would take for that to happen! After convincing Nolan that it was a good idea to go ahead with it despite our past experiences, we met with Mike. Mike made it so easy for us. We brought along all the neccessary paperwork and that's it!. Mike also hooked us up with a phenomenal realtor named James Exum who helped us find the perfect house for our needs. Mike, Lisa, and James were professional and honest with all our questions. Within 3 weeks of applying we were closing on our brand new home! We were completely dumbfounded that this actually happened and that we didn't have to stress about anything! Mike, Lisa, and James took care of all the paperwork, stress and details! It was awesome! We are happily living in our new home now and enjoying being out of the rent race and answering to the landlords! The best thing about owning our home is that we are investing in our future and that is so reassuring! Thanks Mike, Lisa, and James for all your hard work! We appreciate you all more than you could ever imagine! You can count on our referral to everyone we talk to about real estate! You will also be the very first people we come to with any of our future home needs! Words can't express how grateful we are! Nolan and Ellie of Melissa, TX! Lisa – Thank you again for all your help!Please also make sure to thank Mike and christ for us as well. We really appreciate everything each of you have done on our behalf. I would never thought that 1st or 2nd time home Buying would have been this easy. PS – Please send a few (like 10) business cards to our new property address. Tony and I would be happy to keep them on hand, in our wallets – just in case. You never know. Thank You Mike for all your hard work. Mike and I would like to thank you for all the good service you have given us. We were very pleased with everything you did for us. Thanks again for everything. I know you're busy but I just want to say thank you, to you and James. I love my new home and it seems too hard to believe it's mine. I really appreciate all your efforts and time in helping me get this wonderful new home I'm in. My son loves it as well. It is a very nice boost for him. Thank you very much for your generosity and kindness in sponsoring CCAR's Collin County Association of REALTORS® MLS breakfast last week! "Our Loan Hero!" — We all need one is right! You are ours at "New House Hunters" – you have our permission to post this as a testimonial! Thanks again! Carolyn Conrey – President New Home Hunters, Inc.
Mike Clover was so helpful! He gave me a lot of insight and hope! This was the smoothest loan I have done in a long time. Mike Clover and his team closed me faster, and gave me a lower rate and fees after shopping with Wells Fargo, Bank of America and Chase. I'm so happy you were able to help my boss, David Henderson, our new GM at the Hilton Garden Inn-Texarkana, in financing his new house. I understand he is closing next week and he has been very pleased with his experience with your company. I'm pleased he had as good an experience as Gary and I did when we re-financed with you last year. Thank you Dyan, both you and Mike have made this such a smooth process and you have been so easy to work with. I can't tell you how much I appreciate that after my nightmare experience with Wells Fargo. THANK YOU!!! Here I want to say thank you for your great supports in my journey to buy a house. It was a stressful journey and wouldn't be possible with out your supports. Dyan Special thanks for being so patient and kind. You guys were tremendous. I'm a huge fan and mentioned to Dyan, that I am now a sales rep for you guys. Eyes and ears open for people to refer and also I plan on being back for our own and family needs from here on out! Thanks again, really appreciate all the help. I can't thank you and your team enough for the hard work and commitment you gave to our "project." Mike and I have continued to be impressed with everything you have done for us. The level of service we received consistently was outstanding. Hi Mike and Kellye. I have never worked with such a professional group of people during the lending process. I appreciate everything you did to make the process smooth. In the sea of people and companies claiming good rates and good service, whom do you trust? As a realtor, we meet a number of different real estate-related providers across Texas. Boy, am I glad that I reached out to Mike Clover. Out of all of the companies we meet, there was a comfort level and sincerity with Mike. We refinanced our personal home and pulled out some good equity, all while significantly reducing our interest rate. During that process, Mike and Kellye were extremely helpful, patient, organized and available. When our appraisal didn't come out as high as it should, Mike stood behind his quote and commitment, honored his promise and held our low interest rate in place, something many brokers just wouldn't do. They wouldn't sacrifice a bit for a long-term relationship. Mike and Kellye did. They stood by us and we'll stand by them. We're so appreciative of their help and support. We'll be referring many friends, family and clients their way - and already have! Thank you Mike and Kellye for your follow-through and your help. I know you'll help countless others as well. We honestly can't say enough wonderful things about our experience in working with Mike and the entire Homewood Mortgage team! They were always readily available to answer any and all questions that we had - day or night, and we always received immediate responses to our inquires. We truly felt like we could trust the entire group to keep our best interests at heart, and we HIGHLY recommend their services to anyone who is looking to purchase a new home. Kellye was so wonderful in explaining every step along the way, and the staff's courteous service made the entire home buying process a positive one; we will definitely use them again in the future! I was referred to an oustanding loan officer. Mike Clover and Team at Homewood Mortgage who was able to get our deal done on our new home in less than 2 weeks, start to finish. True Story, I am so grateful to Homewood Mortgage for for all of their hardwork, clear and consistent communication, and following through on every step of my mortgage loan. I was so discouraged after trying to obtain a construction and mortgage loan for two years to build my dream home. I spent thousands trying to clear my credit and going through the approval process with various banks. All of them were a dead end....I came across Mike Clover and Homewood Mortgage while surfing the internet. I read the testimonies and thought "yea right, all banks say the same thing and never deliver." At this point, I had nothing to lose! I contacted Mike Clover, explained my frustration, and he assured me that he would get me approved. Of course I was skeptical, but Mike and Kellye Collins worked diligently to get me approved. I'll be breaking ground on my new home this August! Words can't express how grateful I am to find a company who is professional, straight forward, and builds a personal relationship with their clients. Mike and Kellye, I appreciate you! Thanks Homewood Mortgage. 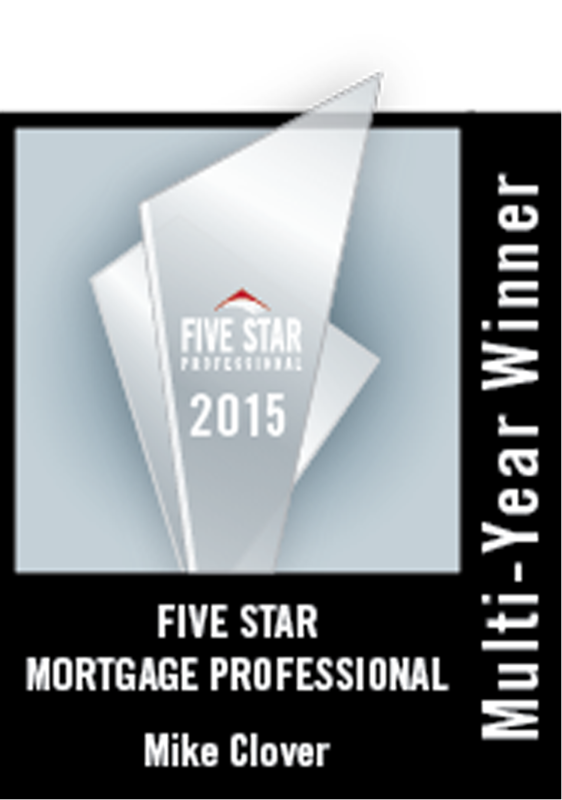 The Mike Clover Team provided us with 5 Star Service from the initial application to the fast closing. Mike and his team is very knowledgable and very detailed making sure all of our documentation was in order in the begining to avoid delays down the line. Answering mutiple calls and numerous emails during and after hours made during business with Mike and his team an reasurring experience. This is my second home purchase with Mike and I would refer him to anyone looking to purchase a home.